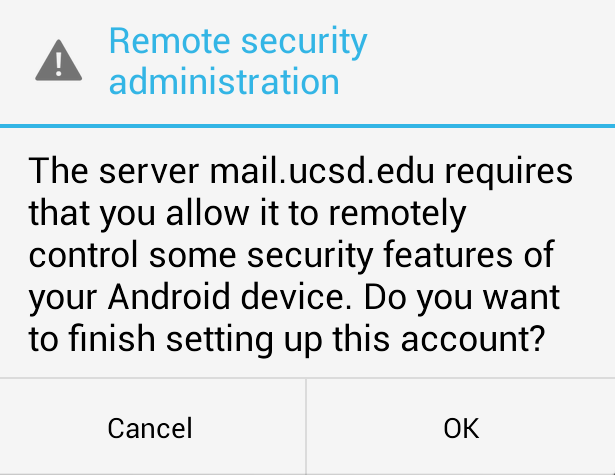 Follow these steps to set up Android 4.x to access your UCSD email account using Exchange. Your Active Directory (AD) username and password. If you forgot your password, you can reset it. The Galaxy S3 doesn't accept passwords with spaces in them at this time. It is suggested that you remove the spaces from your password. 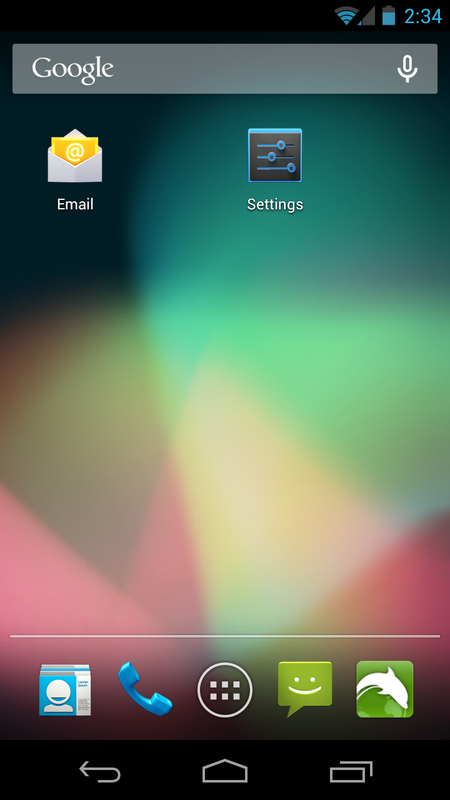 Select Email from the main Android window or Applications drawer and choose to add an account. 2. Add your email account. 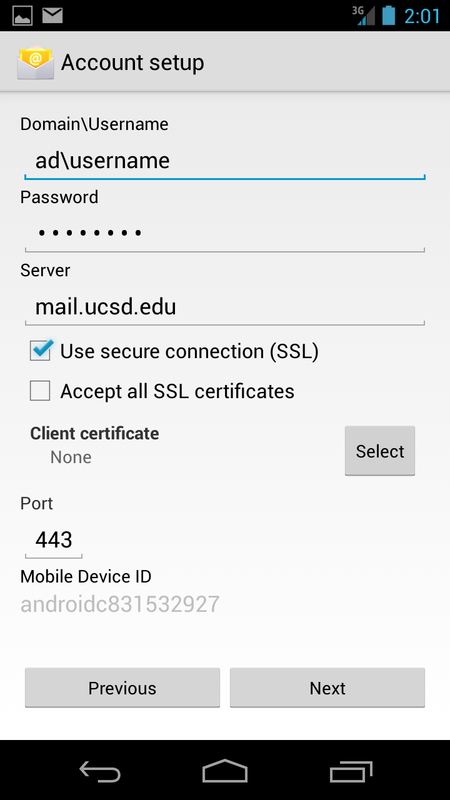 Enter your UC San Diego email address and password. Click Exchange account for type of account. 3. Configure your incoming server settings. Password: Enter your AD password. Port: Should default to 443. 4. Configure your account options. Inbox checking frequency: Automatic Push (recommended). Check Send email from this account by default and Notify me when email arrives. 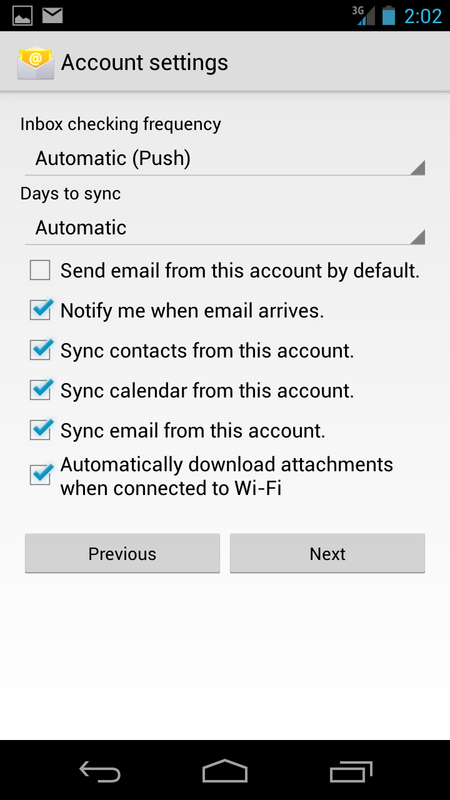 You can choose to select additonal items to sync, such as contacts, calenadar, and email from that account. The remote security administration alert will be displayed. 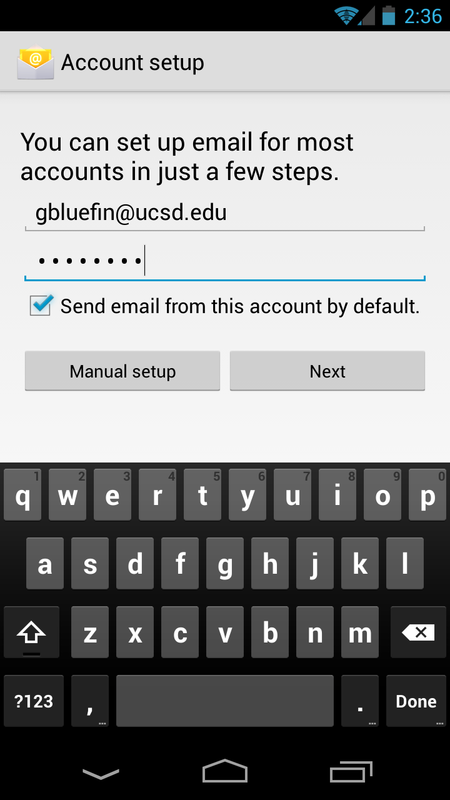 Select ok to continue adding the account (this is normal). Your Inbox will be displayed after mail has fully synched with the Exchange server.